The death of someone close to us can be overwhelming and affect us in ways that we never could have expected or prepared for. 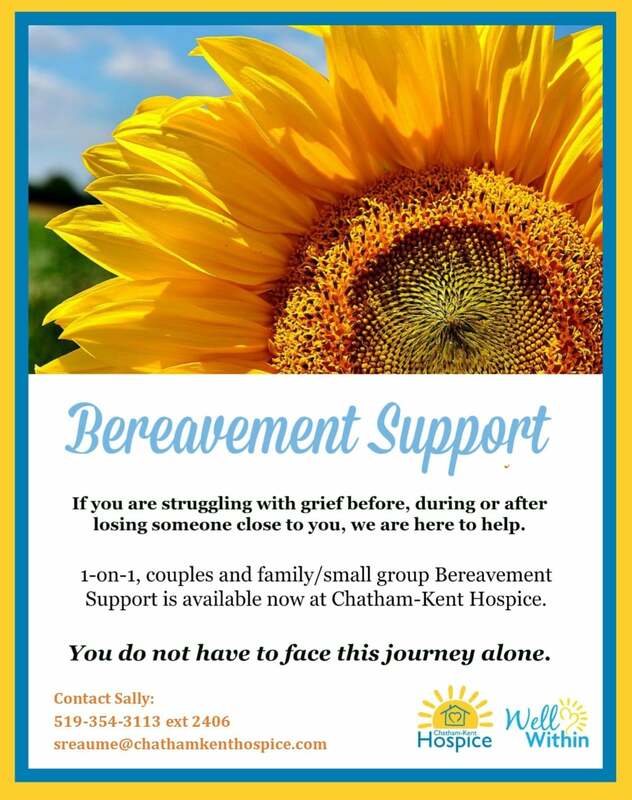 At Chatham-Kent Hospice, we understand that grief is a natural and necessary accompaniment to loss and that is why we provide a number of programs and services to support individuals and families wherever they may be on their grief journey. The Program Team at Chatham-Kent Hospice provides a variety of services to the families and caregivers of our residents, as well as the community at large. These programs aim to share experiences, provide support and promote overall well-being. The calendar of services is continuously evolving and includes a range of recreational therapies, complementary therapies, physical activities and educational opportunities. One-on-one and small group counselling and support is also available. Well Within programs and services are offered either in house or off-site in partnership with other community agencies. 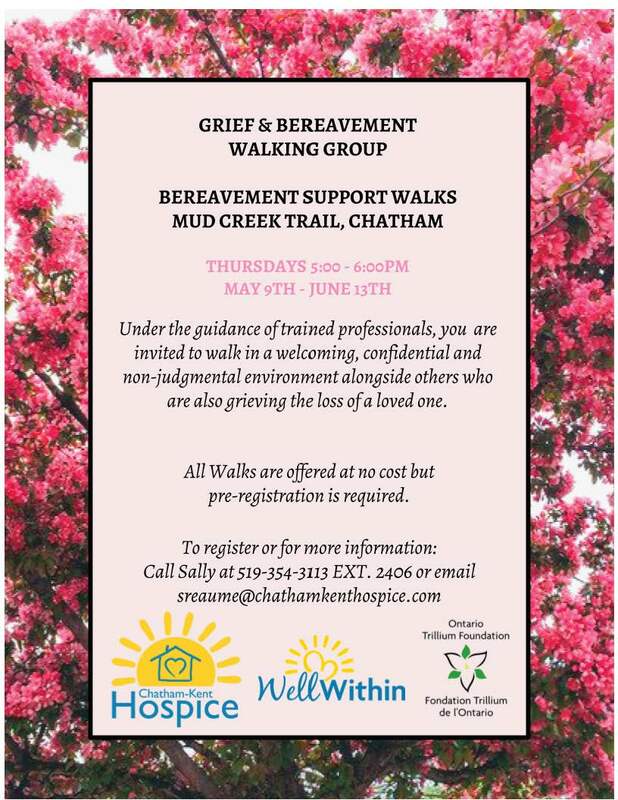 Chatham-Kent Hospice’s Grief & Bereavement support is made possible by the Ontario Trillium Foundation.